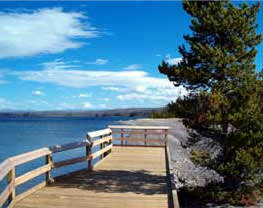 Grant Village is located on the southwestern shore of beautiful Yellowstone Lake. It is named in honor of president Ulysses S. Grant who established Yellowstone Park as America's first national park in 1872. Grant Village is made up of 6 two-story chalets, each containing 50 rooms. 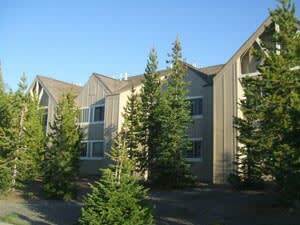 This complex is close to many of Yellowstone's famous attractions. 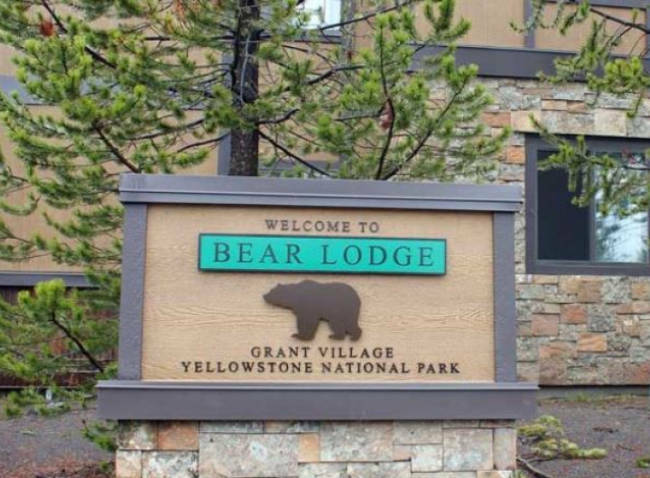 Old Faithful is just a little over 20 miles away, and Grant Village is also closer to Grand Teton National Park than any of Yellowstone's other in-park lodges. 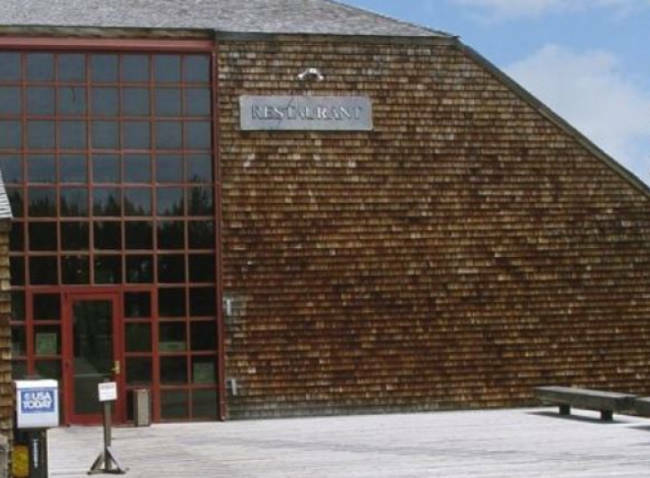 Grant Village offers comfortable high-range rooms. All of these motel-style rooms are complete with telephones and private bathrooms. Ten wheelchair accessible rooms are also available on the first floor of these buildings. A gift shop is located at the village entrance. A general store and gas station are located nearby for your convenience. 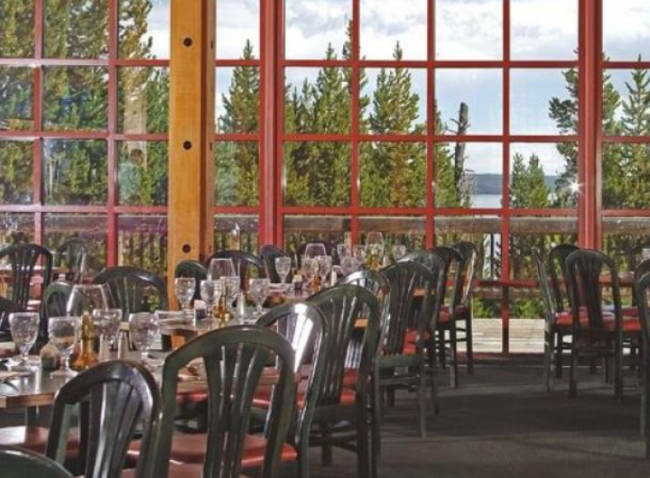 The Lake House Restaurant serves breakfast and dinner and provides a terrific view of Yellowstone Lake. 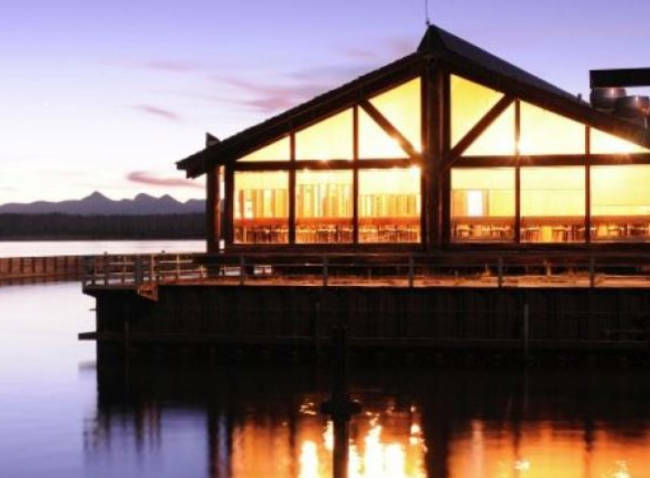 There is also a lakeside lounge at the village that is open in the evenings. Grant Village is a non-smoking establishment. 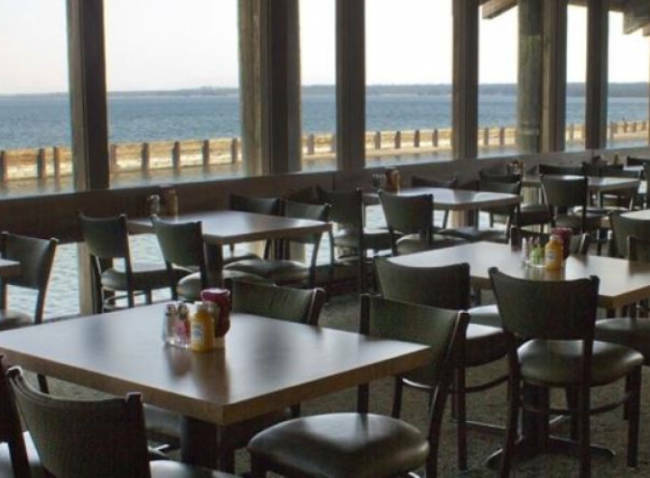 It is open from May to September (pending National Park Service approval). Radio, television, and Internet hook-ups are not available in order to accentuate the natural essence of Yellowstone. 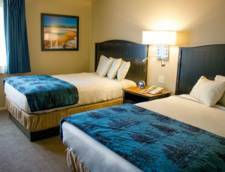 Premium Lodge Rooms are newly remodeled rooms that offer 2 double beds or 1 queen bed and a private bathroom. Other amenities include telephone, refrigerator, and coffee maker. Xanterra Parks and Resorts will charge an amount equal to one night per room reserved to your credit card as a deposit. Deposit is fully refundable outside of 30 days prior to arrival. Deposit is fully refundable outside of 30 days prior to arrival. Any changes or cancellations within 30 days of arrival are subject to a $25 fee. Cancellations & changes within 7 days of designated check-in time result in forfeiture of deposit. Rates Policy: Rates are based on double occupancy. Each additional guest age 12 or over is an additional $19 per night. Internet service is available in the lobby and public areas for a fee. Radio and television are not available in order to accentuate the natural essence of Yellowstone. Limited cellular telephone service.